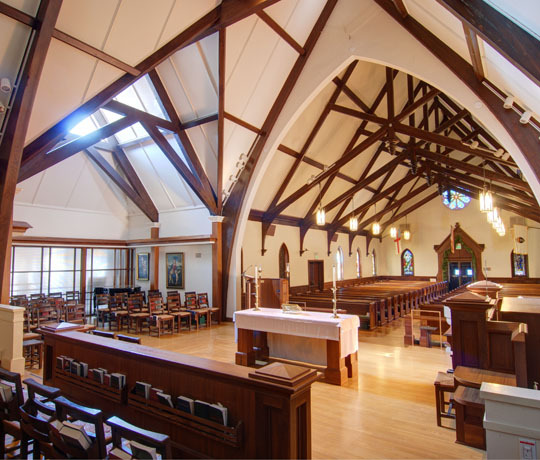 St John’s Church engaged KITE for the development of their property in Barrington, RI. The existing complex contained a church structure dating to the late 1800’s and an attached Parish Hall built in the 1950’s. 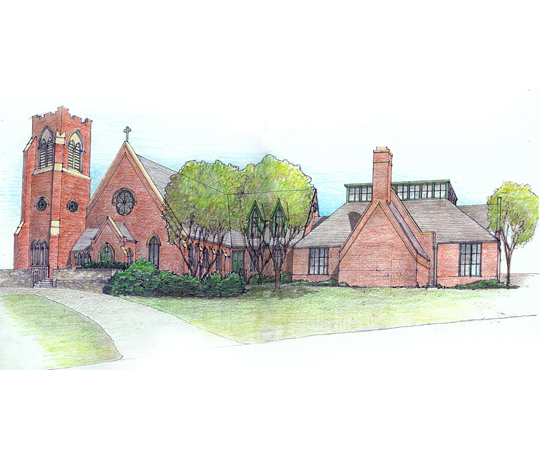 KITE was asked to develop alternate plans to illustrate how the Parish might better utilize the present facilities, increase the number of seats in the sanctuary, and add classrooms to the Parish House. 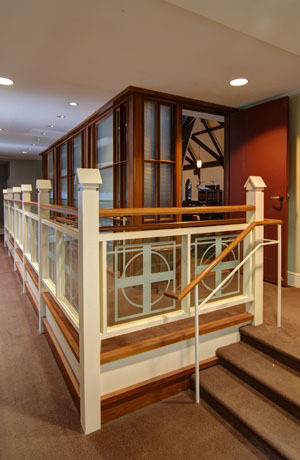 Working closely with the Rector and the Building Committee, KITE developed a series of design schemes to illustrate different options for enlargement of the sanctuary and enlargement of the Parish Hall, including the addition of a new Multi-Purpose Room and classroom wing. The architects made presentations to the Parish with question and answer sessions to gain consensus to the plans and discuss options. Phase 1 of the plan was executed in 2000. 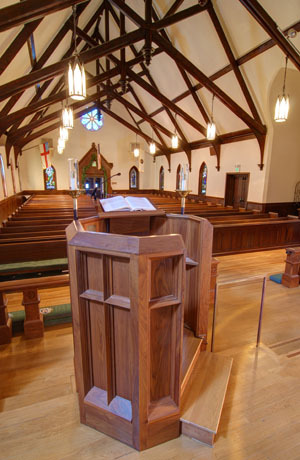 It increased the sanctuary seating to 400 and made all areas fully accessible for all people. 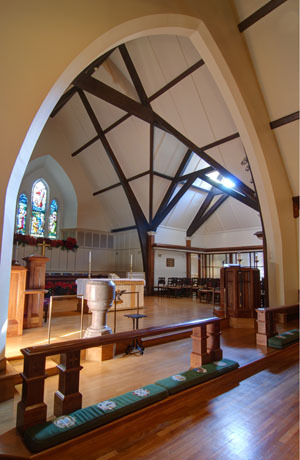 Increased nave space is created through the addition of flexible space that serves as either a separate chapel or as auxiliary seating. 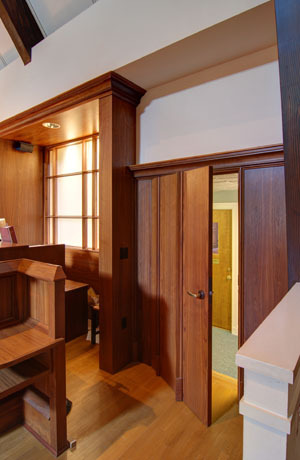 This space opens onto the altar area which contains a movable altar and pulpit arrangement permitting either a chapel orientation or a traditional full nave orientation. This flexibility has proven to be highly successful as its simplicity of change makes it practical and easily achievable on a regular basis.